Acting Chief Craig Meidl speaking at a nomination ceremony in 2016. 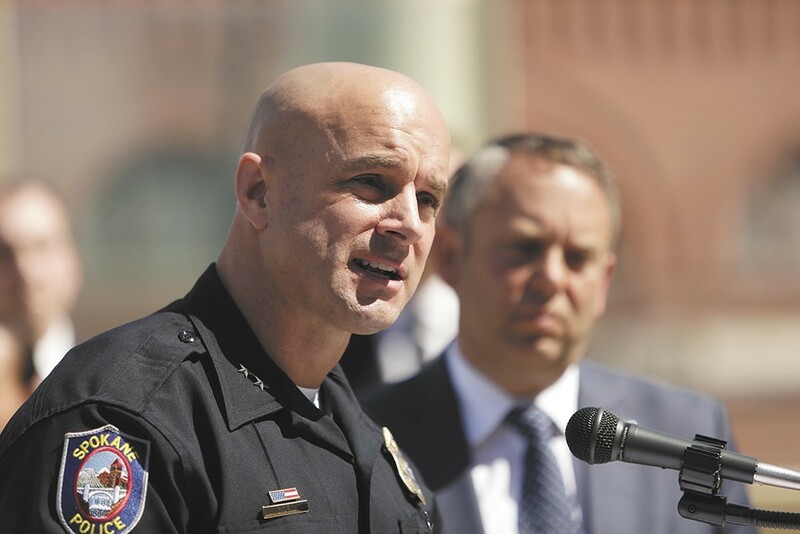 A long-anticipated research project into Spokane police contacts with the public, and how race informs those contacts, will move forward after spending a year on the shelf. The Spokane City Council Monday night approved $16,000 to fund the second phase of Eastern Washington University professor Ed Byrnes' research. Byrnes began working with SPD Capt. Brad Arleth on the project back in 2012, and released a preliminary report in 2015. But as the next, more in-depth phase of the project gets underway, Arleth has been replaced. One month after Spokane's acting Police Chief Craig Meidl was nominated by the mayor as Spokane's top cop, he sent an email to Byrnes. Arleth would no longer be working on the research project digging into minority contacts with police, Meidl informed Byrnes. Instead, Asst. Chief Justin Lundgren would be the liaison between Byrnes and the department. Results from the first report indicated some disparities in contact between officers and certain minority groups, though Byrnes and Arleth cautioned that they needed a bigger data set to paint a more complete picture. That report also showed that Spokane police were more likely to search and arrest certain racial minorities, though there were not racial disparities in uses of force. Byrnes and Arleth promised another, more robust report in the fall of 2015, but funding problems got in the way until this week. Now, the shake-up has Byrnes scratching his head. Byrnes says Meidl's explanation for replacing Arleth with Lundgren was that the project was going to require coordination among several different groups, and Arleth needed to concentrate on running the downtown precinct. Meidl confirmed that explanation this week in an interview with the Inlander. 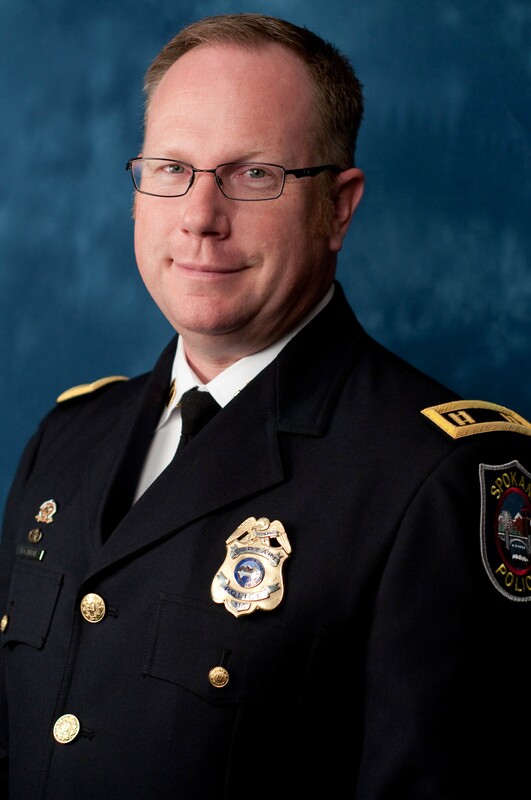 "Brad is the downtown captain now, and with property crimes being what they are and our intent and desire to continue and grow with community engagement, I need all my precinct captains to primarily focus on reducing crime and connecting with the community," Meidl says, adding that as assistant chief, Lundgren has the authority to get Byrnes whatever he needs from within the department. "Brad and I presented to several different community groups — [Mayor' Advisory Committee on Multicultural Affairs], the NAACP, the Center for Justice, the Office of Police Ombudsman Commission — and I've never heard anything negative about Brad," Byrnes says. "The decision was surprising to me because of the rationale and because it wasn't discussed with me." Friction between Meidl and Arleth is well documented (though Meidl denies that he holds any ill will toward any members of the department and expressed to the Inlander a desire to rise above the toxic atmosphere under Straub). Originally, Arleth was the only SPD employee to apply for the chief's job when the ousted Frank Straub left in September 2015. Meidl didn't apply for the job, but was appointed by Mayor David Condon despite a show of gathering community input on his decision. The mayor announced then that he would not immediately seek confirmation from the City Council. Meidl also filed an insubordination complaint (at the direction of then-interim Chief Rick Dobrow) against Arleth earlier this year for moving furniture from the former downtown precinct to the new location at the Intermodal Center. Arleth was placed on paid administrative leave for about a month while the department conducted an investigation into whether Arleth was clearly instructed not to move the furniture. Ultimately, he was given a letter of reprimand, which he is appealing. Meidl was also critical of Arleth's decision to speak openly with the Downtown Spokane Partnership. Arleth previously expressed his concerns to the DSP with the city's decision to shutter the precinct facility near the STA Plaza. Arleth declined to comment on his diminished role in his and Byrnes' research, but stressed the significance of the city's commitment to funding the second phase of the project. He pointed to two similar programs recently initiated in Denver and Minneapolis. "I think it's important that it moves forward," Arleth says. "It's important the police department can articulate to the community why they're stopping them and under what circumstances. I think you're going to see more of this in the future with cities deciding to do it because their communities are interested in it."